Robin C. Menesses has been a Licensed Professional Counselor for 7 years and has 9 years clinical experience. She has been a member of the Jefferson Oaks Behavioral Health treatment team since 2008. As clinical coordination manager, she serves as an advocate for patients in additional to providing individual, family, and group psychotherapy. 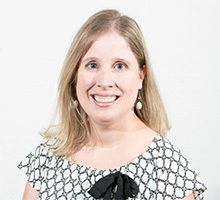 She holds a Bachelor’s degree in Psychology from Loyola University New Orleans and Master’s degree in Counseling from Our Lady of Holy Cross College.